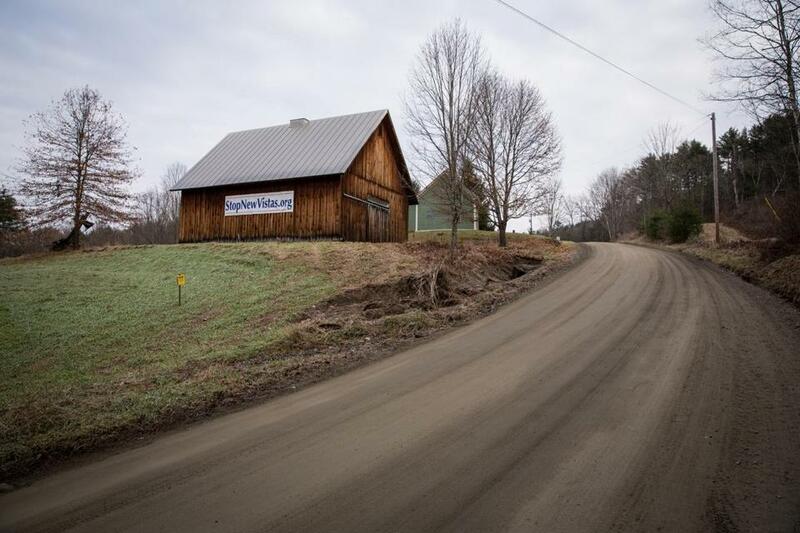 A banner hung on the side of a barn in Tunbridge, Vt., opposes David Hall’s proposed development. Four small towns in central Vermont have been placed on “watch status” by the National Trust for Historic Preservation because of what the organization calls a growing threat from a proposal by a Utah businessman to build a vast, planned community there. The NewVistas proposal by David Hall, who wants to create a futuristic development near the birthplace of the founder of the Mormon church, threatens the character of the Upper Valley towns of Royalton, Sharon, Strafford, and Tunbridge, according to the National Trust. Hall has bought at least 1,600 acres for approximately $6 million near and adjacent to the Sharon birthplace of Joseph Smith, the 19th-century founder of the Church of Jesus Christ of Latter-day Saints. A former Mormon bishop, Hall said he was inspired by Smith’s 1833 blueprint for a self-sufficient community in which residents would lead deeply interconnected lives. The Mormon church opposes Hall’s project, which he has said could take generations to complete. Many Vermonters have mobilized to oppose his vision of a megalopolis of 1 million people, nearly twice the state’s current population. 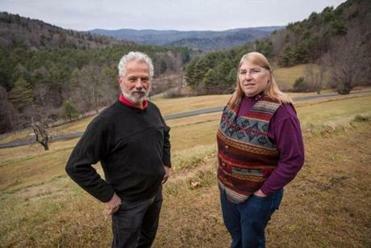 A vast project in Vermont envisions a sustainable development of 1 million people near the birthplace of the founder of the Mormon church. The Vermont warning coincided with the release Tuesday of the National Trust’s annual list of the country’s 11 most endangered historic places. Considered at greater immediate risk than locations on “watch status,” the 11 sites on the list range from the Colonial dock area in Annapolis, Md., to historic and cultural resources damaged by last year’s hurricanes in Puerto Rico and the US Virgin Islands. Hall said Monday that NewVistas would not disturb any historical sites. “The NewVistas project is way off into the future, if ever,” Hall told the Globe. “I have personally spent a lot on restoring historic sites, and I am a big believer in this. What I am opposed to is the continuing trend in Vermont to subdivision of large parcels. Opponents of Hall’s plan were heartened by the National Trust’s move.